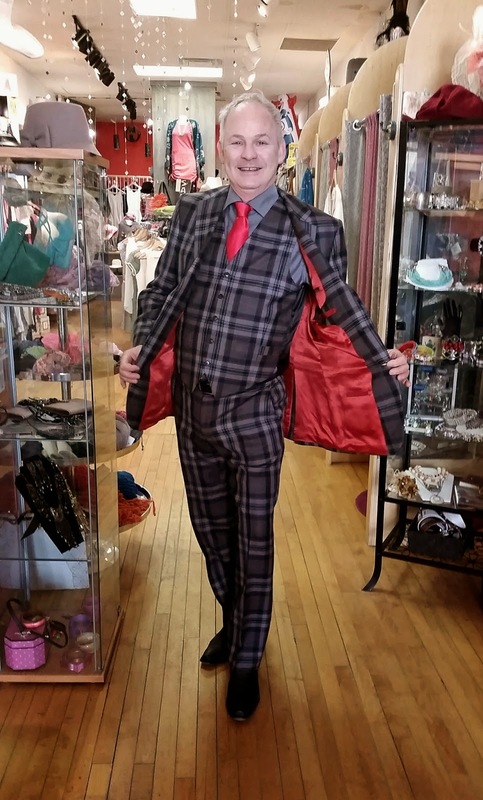 Forest City Fashionista: Men of London Ontario, Listen Up! 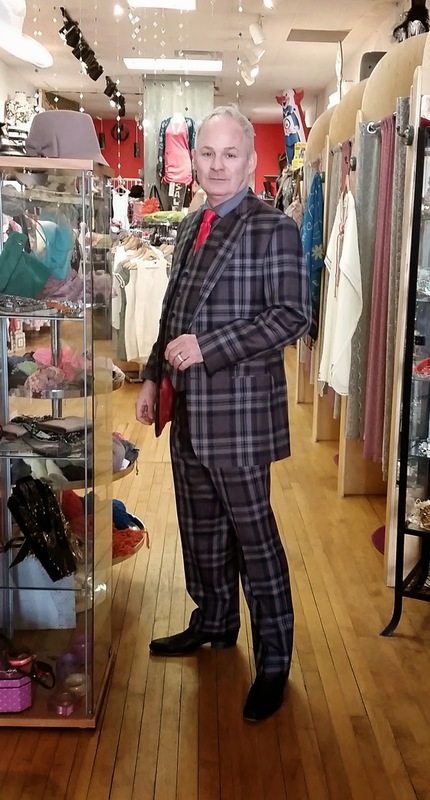 Jim's suit is fantastic, doesn't he look great?! It's always fun to see a man making bold and stylish sartorial choices - you're right, most seem pretty conservative. Wow! Jim's suit truly is a work of art! I'm glad you managed to get some photos. I agree with you, a well turned out man willing to take some risks is very alluring. I'm a sucker for an interesting lining! That's probably the coolest suit I've seen in ages, other than an unusually sharply dressed older man I saw in Calgary the other day - he was wearing an amazing brocade vest and frock coat - heads were definitely turning. Now that's a sharp dressed man. Whenever you feature a man on your blog they are always drop dead gorgeous and cool as f*ck. Jim's no exception, what a suit! wouu, that's coolness!, red lining is amazing and I'm loving his attitude! !, such a great suit! Thanks for sharing it. I'm living in a little town, so there's not a huge variety of styles, and men are even more conventional!. I think it's sad! Great photos of a fabulously dressed man! He turned up at just the right moment, so that we could all appreciate his style! I began blogging shortly after you launched Forest City Fashionista. I think it's amazing that we continue to find something to post and write about after all of these years. I consider it a dementia prevention strategy and a way to continue to be creative no matter what's happening in our lives. Something always seems to percolate and for that I am grateful. Don't you love a man who can dress up and ENJOY it? Especially when he takes the creative initiative? Excellent post. I showed it to Dan this morning ... it reminded him that he wants kilts made of ALL the McMillen tartans when our ship comes in. Don't anybody hold your breath, but it's nice that he wants them, isn't it? Thank you ... one for the blokes! What a fabulously dapper gent! Great suit! He wears it well. So glad you could share this -- I know what you mean about dull menswear, everyone just looks the same. This stands out! I adore a well dressed man. Big hurray for Jim. He excells. We hired the party planner in a hurry. But she was a complete champ, planning everything really well so that I wouldn't have any worries on my wedding day. Our experience with her was amazing, she is incredibly dedicated to her brides. Jim Great your Suit are superb so nice collection. Mens Designer Suits.